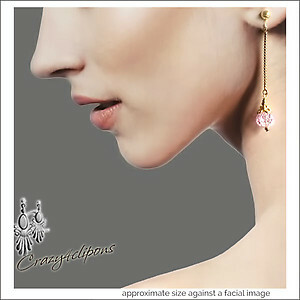 Features: Gold plated, vintage crushed crystal drop earrings are simply exquisite. 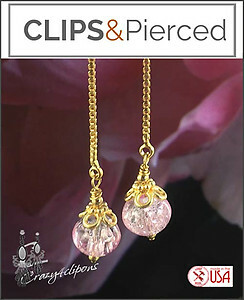 Girly girls will love the pop of pink in these dangling drops. 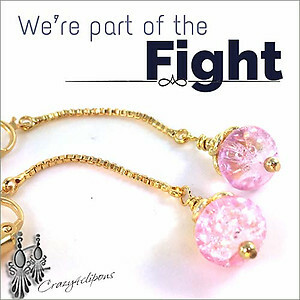 These are lovely during winter, spring and October supporting the Breast Cancer awareness.